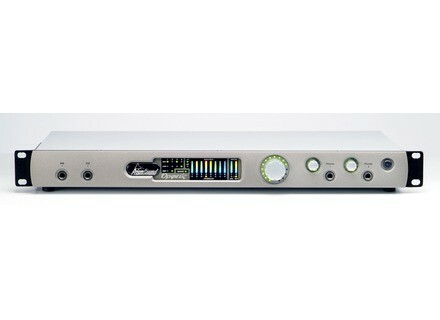 Orpheus, FireWire audio interface from Prism Sound. It was not easy to get the money!!! I wanted the best gear for my productions! Now I have it! I tested lots of devices so you can trust me!! I started with an Mbox 2 (very good value for money). After that I used a Fireface 400 (also very good value for money). I sold everything again to buy this jewel, which I combine with a wonderful Avalon 737 SP preamp and an AKG 414C mic. The installation is very problematic!! At least with my setup! I use it with Ableton Live 7. With a powerful PC or Mac computer you get a pretty low latency! The user's manual is clear. I've been owning it for two months. Pros: exceptional sound quality for recording and mixing!! It's much better than everything I've previously owned! Considering its sound the value for money is excellent!!!!! Cons: price... and considering nobody sane would sell it you'll have to buy it new! I'm pretty sure I'd buy it again!!! 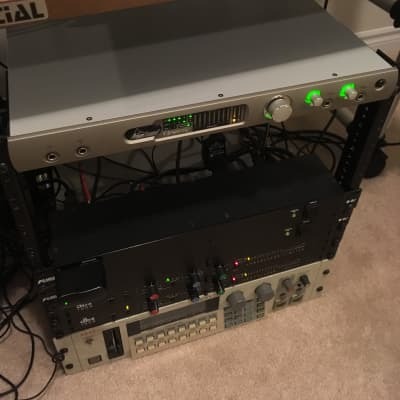 Adieu RME, Mbox 2 and Universal 2192!! If you have the money don't hesitate to buy it!!!! djstefdc's review (This content has been automatically translated from French)" Caution!" The technical arguments on paper and the recommendations of a sound engineer pushes m have this sound card. Using an analog chain: trident console 24 tracks, 48 ​​inline. Connectors MONSTER pro / VOVOX. PC intel I5. SSD 128GB / 1TB SATA 7200 t / 12 go DDR 3. bone WIN 7. DRIVERS ULTRA STABLE. Using Logic Audio 5.1 + Logic control 40 tracks playing without latency. Impossible to correctly route map in SoundForge 10 and acid. No systematic updating. Total disconnection of internet. Utilistion and simple and logical configuration. May be too reductive, limits parameterization. Use for 2 years, some hardly acceptable unpacking setbacks due to a firmware too experimental or exotic (? ), I use MOTU 896 MOTU PCI 192 EDIROL before ... The problem of Orpheus Firewire ... is that they reveal to be elitist by their prices and thus inevitably reduce the number of feedback about the problems encountered. The prism service is just insufficient or non-existent so careful! Rigorous design although this interface is in my opinion real weaknesses. It does not fall enough in the low end for my taste (eg. Moog bass of a LITTLE PHATTY clearly lose their panache recording 24bit / 44.1). Extraneous noise, preamplification too slight to the headphone outputs. True relative strengths: versatility at frequencies, its total absence of noise and registration al reading and transparency evident from the bottom medium to acute hyper. Difficult to find an equivalence on the market in this price range too high given the weaknesses of the map. J m I wanted to ensure a quality manufacturing and an irreproachable reliability I still perplexed after 2 years of use of a new product purchased. zebib's review (This content has been automatically translated from French)" Excellence"
I use this card for about 1 month. The drivers are not so stable as Motu or Rt. Similarly for sync. Motu and Rt are truly Plug and Play. Prism parameterization and requires a lot of help on the site is succinct. I have a little anxiety the stall and worse than that, I wonder if I fully exploit the sound potential of the beast. The big plus of this card is sound and preamps. Regarding preamps, they are very transparent, very dynamic with a beautiful reserve gain. 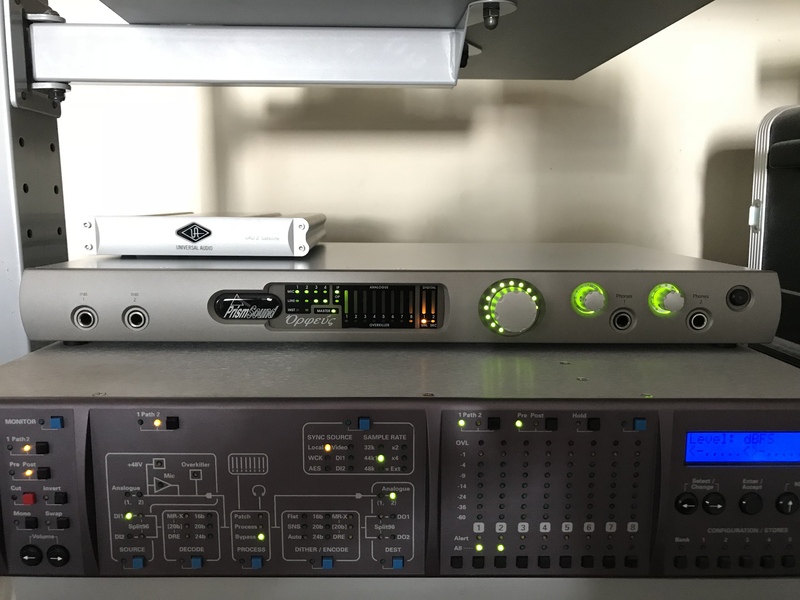 I pass without problem preamps (and I've owned Tubetech so I know the importance). Quality / price? Before listening I thought wrong. I hesitated with Fireface UFX and Universal Audio Apollo. After listening: Excellent quality / price ratio. I remake this choice without hesitation. Attention: This card makes you enter a new sound dimension It is therefore restricted to users who plan to complete the medium term upgrade their equipment if it is not up to this card. Consider a very good sound and very good speakers, if the potential of Orpheus does not speak at all! It is a masterpiece and it must be well supported and well prepared, everything revolves around should be the height. zebib's review (This content has been automatically translated from French)" Excellence ..."
Latency is not so good as the RME and Motu. I can not get down to 32 buffers under penalty of crunches. Regarding preamps, they are highly transparent, very beautiful éeserve with dynamic gain. I pass without problem preamps (and I've owned Tubetech so I know the importance). To celebrate their 25th year of existence, Prismsound announced a very limited run of special edition Orpheus FireWire interfaces.